Free Online Resources to Use with Children on Columbus Day. 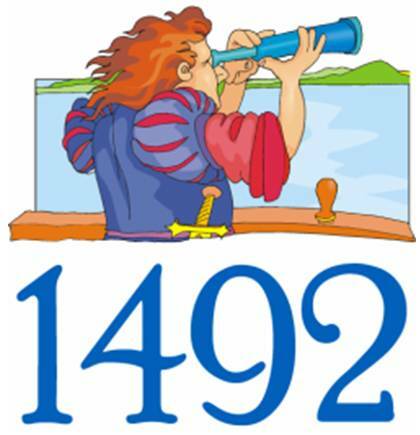 For a selection of free Columbus Day printables check out the web site http://www.theteacherscorner.net/. On this web site, you will find printable word searches, word scrambles, a crossword, and Columbus Day journal and activity pages. Go to http://www.apples4theteacher.com/ for some more free coloring pages for Columbus Day. Check out http://www.theholidayzone.com/ you will find more Columbus Day coloring pages. .
We recommend visiting preschoolcoloringbook.com for two coloring pages of Christopher Columbus. What free resources do you use with children on Columbus Day? What are you doing with children today? Along with printing out activities listed above on the blog I am using a round world theme today with the children. We often hear that Christopher Columbus showed the world is round by finding a short route to the Indies. So, I am going to have a round world theme today. I am simply going to use a round cookie cutter to make pancakes and sandwiches round and tell the children it is the world in honor of Columbus Day. I am blowing up blue balloons and drawing the continents on the balloons with permanent marker. We will play balloon volleyball with the balloons and see who can pop the most balloons by sitting on them (which is harder than it sounds). We are going to play pin the sail on the Nina, Pinta, and Santa Maria.